When one pitch just isn’t enough, multi-pitch climbing unlocks new climbing potential and endless terrain. For those who want to go further, multi-pitching is a true climbing journey that will extend your skills and climbing repertoire. When multi-pitch climbing you are climbing the longest climbs, giving that feeling of being miles above the ground and incredible views to match. On our guided multi-pitch experience, your guide will lead you up through the pitches allowing you climb multiple rope lengths up for the feeling of maximum exposure. At the top, your hard work is rewarded with incredible vistas below and a massive free-hanging abseil down. With stunning scenery this is a must do experience for climbers who are competent seconding. We have small guide to client ratios 1:2 max. 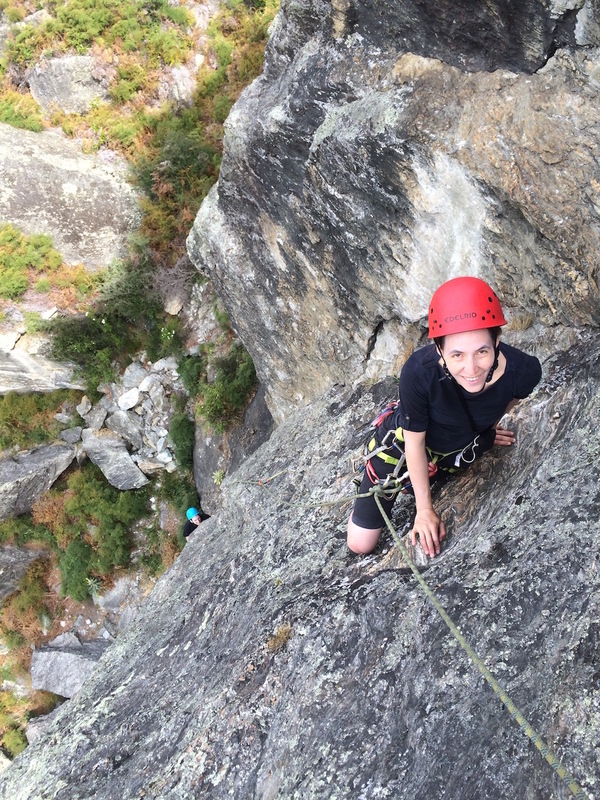 On the half day trip you will climb the iconic Little Big Wall – one of Wanaka’s best known multi-pitch climbs. ‘Turn on, Tune in, Drop out’, Grade 16 (5.8/5a), is an adventurous climb with incredible views and varied pitches. The full day trip will see you begin with a climb of Little Big Wall. Then, after lunch, you can either climb it again, this time leading the pitches and making safe changeovers under the watchful eye of your guide, or explore some of the other multipitch climbs nearby.